A delicately perfumed soap made in the famous Spa town of Salsomaggiore Terme in Italy. This is a lightly scented soap contains tea tree essential oils and has a base of 1% sulphur and 3% glycerin. 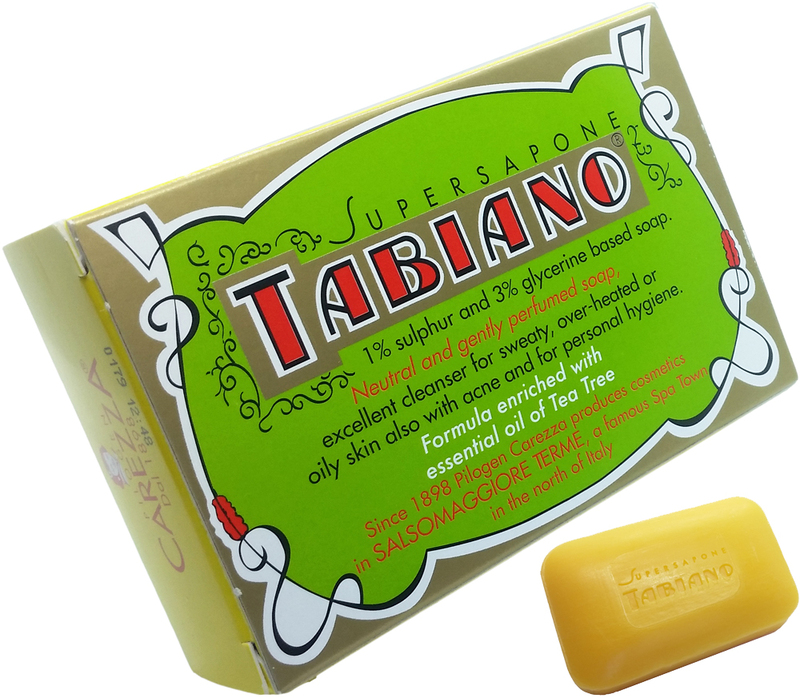 This Tabiano Supersoap will help with unwanted blemishes and the combination of sulphur and glycerin will make an excellent cleanser for sweaty and over-heated, acne and oily skin. An ideal soap for personal everyday skincare use. Each soap bar is 100 grams in weight.